Head Diameter: 3/4in. (19mm). Head Length: 1-1/8in. (28.5mm). 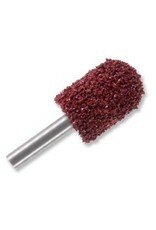 These burrs are armed with a coating of carbide grit for rough service and hand routing. They also work great for trimming soft ceramics, fiberglass, and other laminates. Standard coating size is 23 grit. 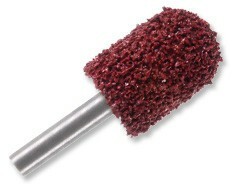 These burrs are armed with a coating of carbide grit for rough service and hand routing. They also work great for trimming soft ceramics, fiberglass, and other laminates. Standard coating size is 23 grit.